Now and then in our lives, we are faced with making tough decisions. High school students, for example, often have the hard task of deciding what career they want and what post-secondary school to attend. Unemployed persons must choose whether to stay in their current city or move elsewhere to pursue their career, uprooting family and routines in the process. But, perhaps one of the most difficult decisions to make in one’s life is deciding to let go when it is time for someone close to us to pass on into death. This was an extremely moving short. The tone of the music and the pace of the acting perfectly underscored the seriousness of the situation. It was difficult to watch Suki slowly suffer and it was equally hard to watch Mathieu go through the pain of knowing that he had no choice but to call the veterinarian for the final appointment. The anguish in Mathieu’s face and his hesitancy to get Suki out of the back seat of his car and into the clinic were very realistic. It is definitely not easy to make such a hard decision as putting a loyal pet down. Therefore, this short could certainly be used to help other pet owners deal with their own hesitation and grief as Mathieu faced. 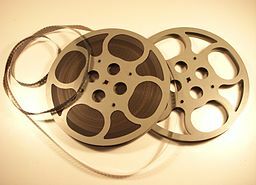 Suki was filmed entirely in Montreal with technical resources from the National Film Board of Canada through their program, l’Aide au cinéma indépendant (ACIC). Suki in the film was also the real-life pet dog of Maxime-Claude. Suki has been seen in 15 film festivals around the world, including the 13th annual Salento Finibus Terrae International Film Festival in Italy, and the 2nd annual Goa Short Film Festival in India. Suki won the Inspiration Award at the 9th annual Cinema On The Bayou Festival in Lafayette, LA. You can connect with Maxime-Claude on Twitter, Facebook, and Instagram. If you want to see more of Max’s films, be sure to follow him on Vimeo, as well. Good luck to Max on his future short film productions. Can’t wait to see what he has planned next! Sounds like an excellent short film SFF!!! Fine job of blogging on this!!! Thanks, Ken. Hope you enjoyed watching Max’s film. We’re looking forward to seeing more of his short films in the future!